Calixto Oviedo's artists career spans 38 years. 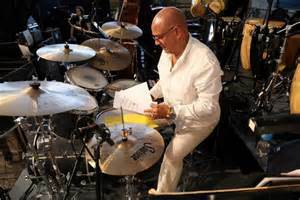 He was the drummer with NG La Banda during the period that produced many of their greatest recordings, including Santa Palabra, Échale Limón, and El Trágico. In the mid-90's, he relocated to Sweden, during which time he made an excellent Timba recording, "La Recompensa" with his son Yulién, and other key members of Charanga Habanera. He currently resides in Denver, Colorado. 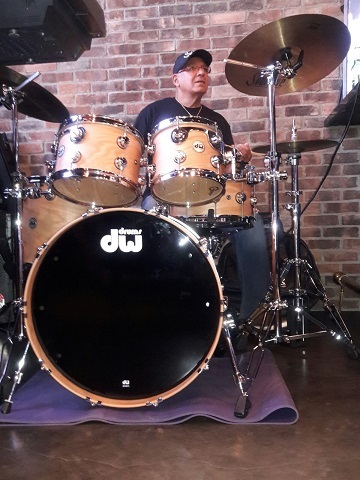 The INTERVIEWS sections contains a lengthy interview with Calixto, conducted by Majela Serrano, and a shorter more percussionist-oriented interview with questions by Kevin Moore. At the moment, both are only available in Spanish, but English translations will be coming soon. We also have an article on "La Recompensa" in the DISCS sections, and a full discography of the many discs Calixto has recorded as a drummer/percussionist. Calixto's biography and musical history are too great to be contained in a single page. A complete biography has been assembled by Kevin Moore for Calixto's instructional percussion books: in the series "Beyond Salsa Percussion: Volumes 2-4" . 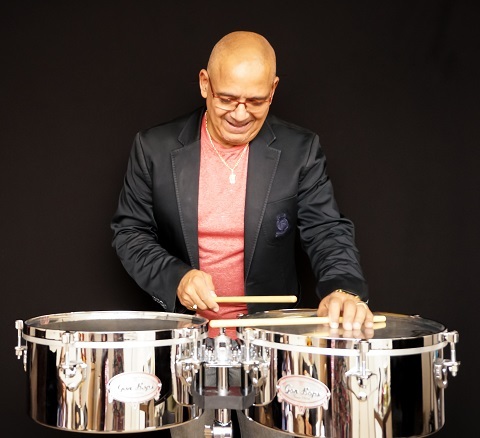 "Master Cuban Drummer Calixto Oviedo thoroughly demonstrates traditional and contemporary Cuban rhythms on drum set and timbales from danzón to timba! Recorded, transcribed and produced by Kevin Moore, ‘Beyond Salsa Percussion’ is authentic and easy to understand – a must for every drummer." Walfredo de los Reyes, Sr.
Click here to read Calixto Oviedo's complete biography. Montreal Jazz Festival -Canada 2009. Portland Jazz Festival -USA 2009.